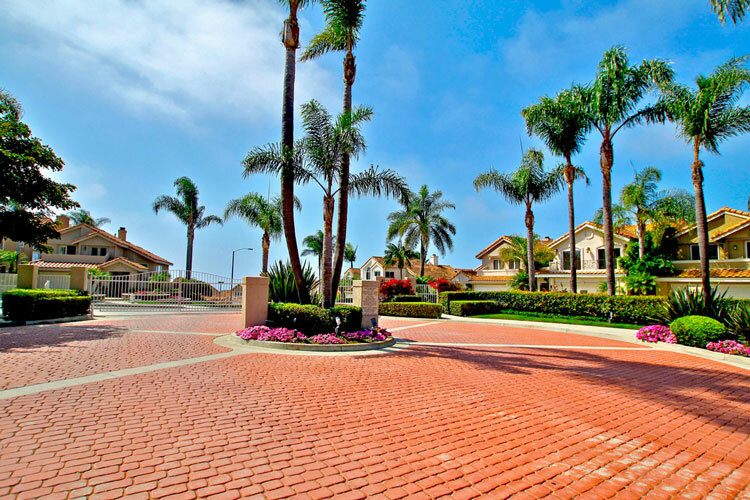 The Regatta community in Dana Point is a small gated community of 119 homes with ocean and beach close homes for sale in Monarch Beach. 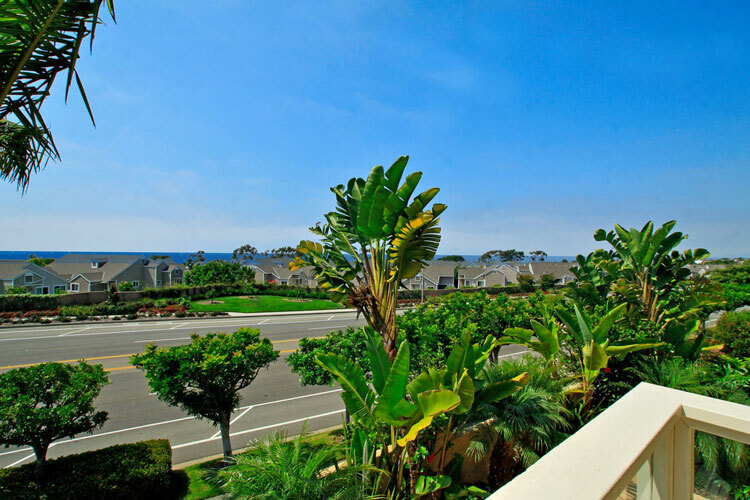 The community is located just south of the Niguel Shores gated community and feature two to three bedrooms homes that have great ocean views. Keep in mind that the homes that are located on the front row will have direct views of the ocean but will also have traffic noise from the Pacific Coast Highway as pictured below. The homes offer a great value for those wanting to live near the beach and the brand new community called "The Strand at Headlands." Asscoiation dues are low and average $190 and include the gated entrance and association pool. All the current available Regatta homes for sale and Regatta homes for lease are listed below. Please contact us with questions regarding any of these properties. The Regatta community features nice views of the ocean from the 4 streets in the community known as Palm Beach Ct, Regatta Way, New York Ct and St Francis Ct. The picture below is from a home located on Palm Beach Court. The ocean views can be more panoramic than this shot from the streets higher up in the community!